Lets get your weekend started. 8pm CET. 3 Hours in the mix on Radio Stad den Haag. DJ Tony Renzo from the Netherlands. Every week a fresh new Back2Basics Italo mix..and again a hit! 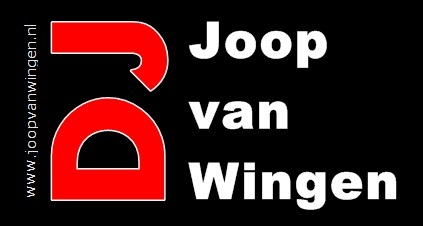 Also from the Netherlands this international mixer DJ JW (J.W. Rijnbeek) 2 mixes from a few years ago. Samplemania 12 and Italomania vol 1…sample smashers guys. Playlist in comments. The last 45 minutes is an Italo mix especialy made by Martin Blix (ItaLove) beginning of this year for Radio Stad. Playlist in our comments. Gwen 15-09-2016 . Categories: +mix, DJ Mix, Freaky Friday. Tags: Back2Basics Italo, Disco-Mix, DJ Jan Willem Rijnbeek, DJJW, High Energy, Italo Disco, Italo Internet Radio, Italo mix, Martin Blix, Radio Stad Den Haag, Radio Stad in the Mix, Tony Renzo. Are you ready for some live radio with all you favourite Italo and High Nrg music? 5 till 7 pm CET-DoucheCo show with Michiel. Back to the 80s with the best tracks from the classic hit chart ‘de Haagse Flitsende 50’ from 1983, then broadcasted on saturday on Radio Stad. 8till 11pm CET – The sunday night live request show with Menno, Gwen & Michiel. What did you miss…We received the full versions of heading for the sun by Italove from Kimmo from Flashback records. Ofcourse this weeks space synth track and your requested songs like Split mirrors in the digimax mix, TQ, Ryan Paris, Novo Band, Twins, Lisa, Pete Burns, The voyagers and a brand new snippet from The Juno gang! The last hour we had Reinoud as our guest deejay. Enjoy te recording in audio or video! Gwen 24-07-2016 . Categories: +mix, +Stad Disco Zondag, Charts, clip, Download, Haagse Flitsende 50, Live Show, new release, Nieuws, Sunday Live Show, vinyl. Tags: Charts, Disco-Mix, DizGo Radio, DoucheCo, Eurobeat, Flashback records, High Energy, Italo Disco, Italove, Iventi Records, Juno Gang, Live Request Show, Martin Blix, Radio Stad Den Haag, Radio Stad in the Mix, Spacesynth, Stad Gouwe Ouwe, Stad Sundaynight Live, Studiocam, Vinyl.